Overview of our dinner at EZ.KON Restaurant at Taichung, Taiwan. Most of us ordered the steamboat set. 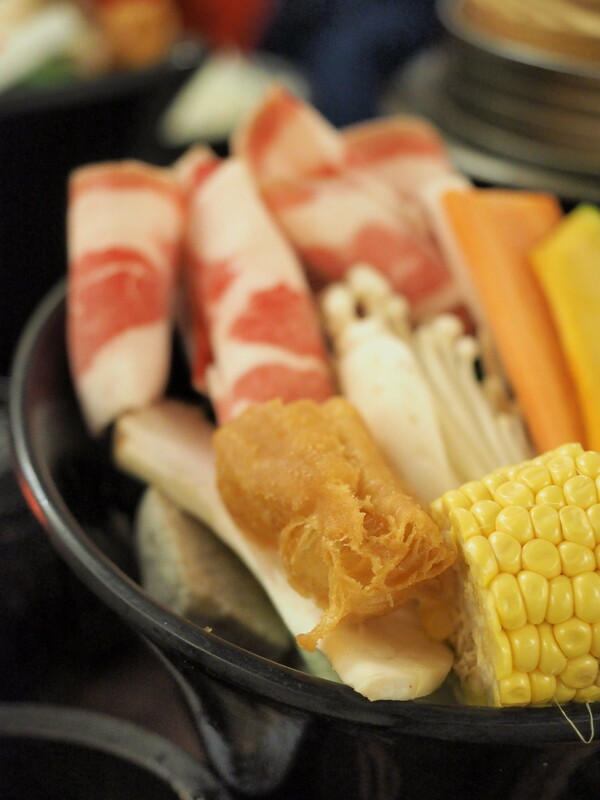 My hot pot set at EZ.KON Restaurant which is the Osaka Sukiyaki Hot Pot with Pork. You can choose beef slices as well for the steamboat set. 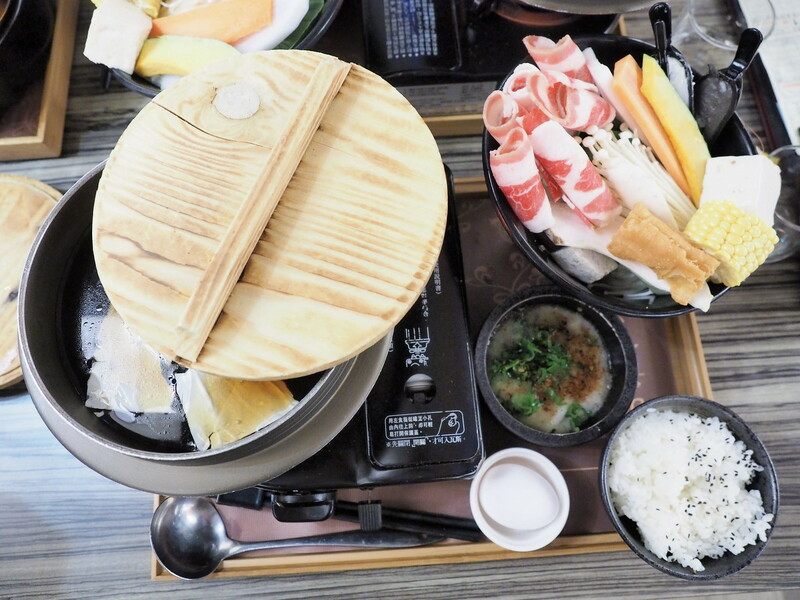 The price for this hot pot set is NT$ 350 at that time. 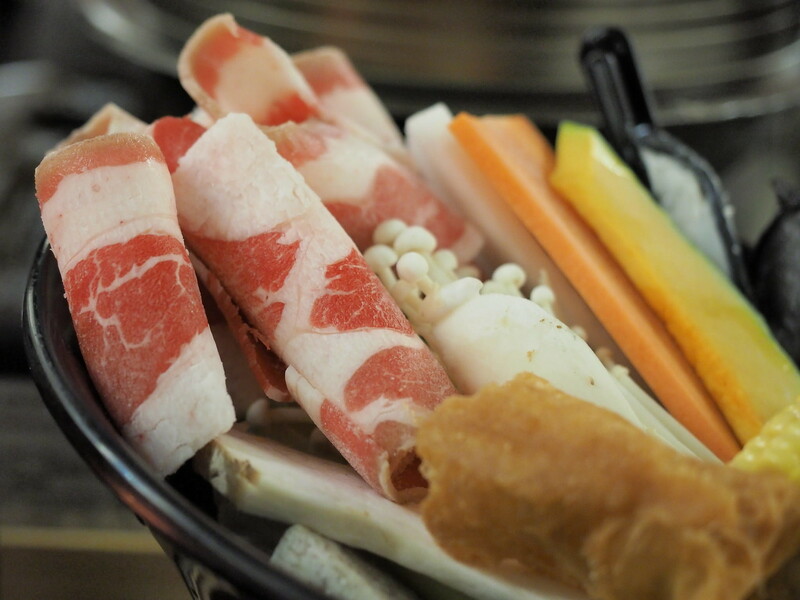 A closer look on the ingredients that come with my hot pot set. 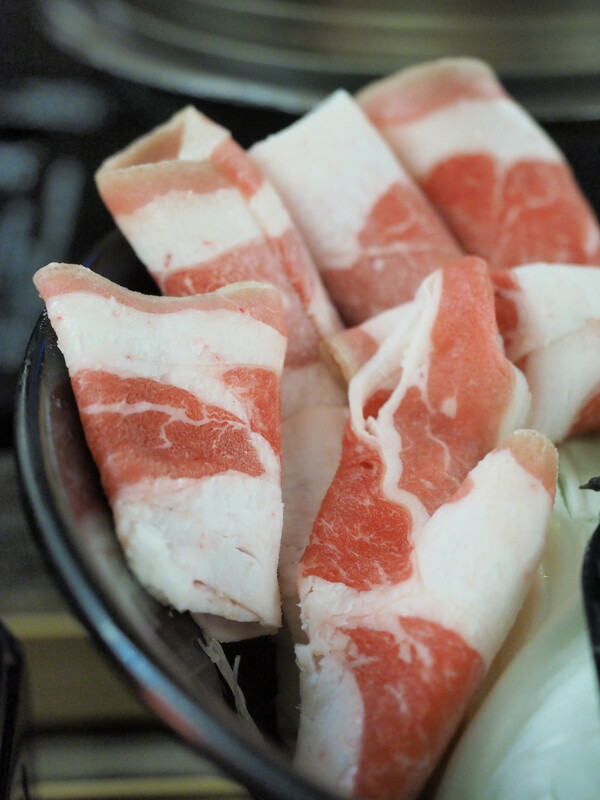 As seen in the photo are the pork slices, carrot, mushroom and fuchuk. Look at those fresh cut slices of pork. I think those are premium pork since they are so yummy. Fuchuk and corn for the steamboat set at EZ.KON Restaurant. Boil the corn in the soup to make the soup sweeter. 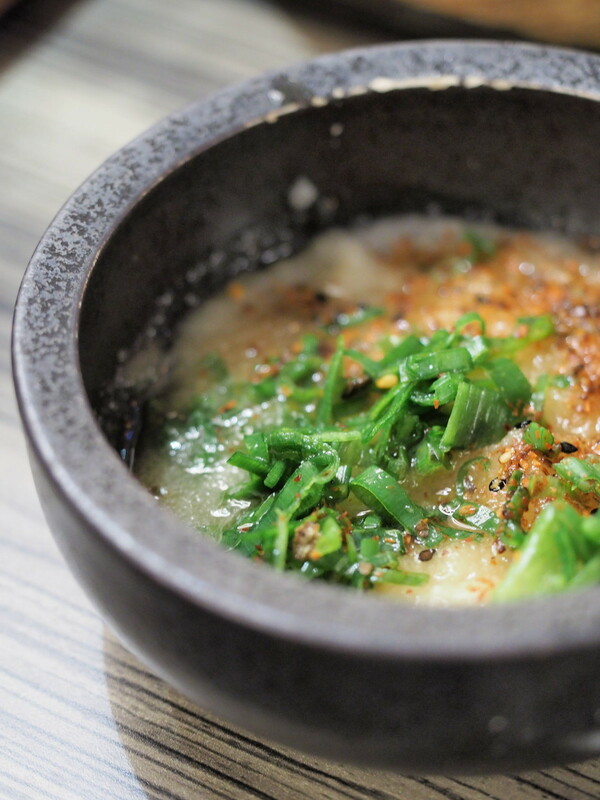 Laupoh’s Fish Hot Pot set for NT$ 420. The set has generous amount of fish meat. 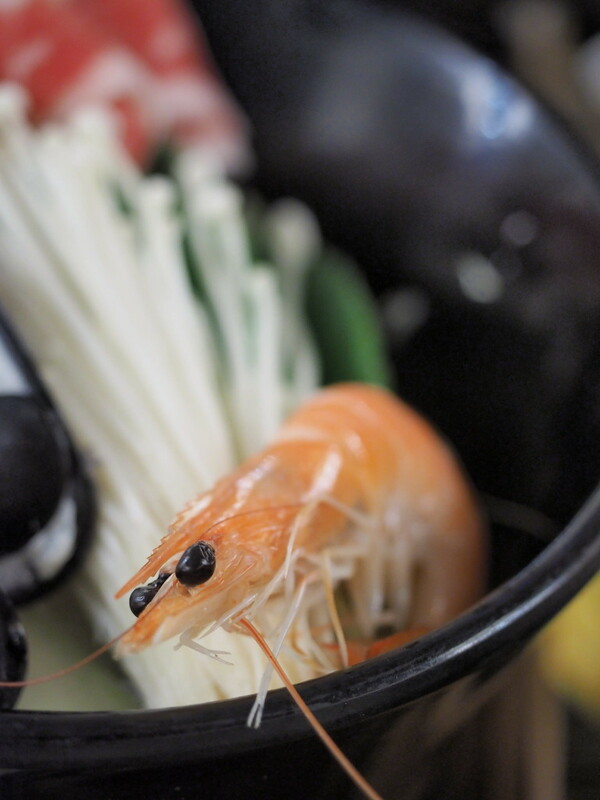 The medium sized prawn that comes with the steamboat set at EZ.KON Restaurant. 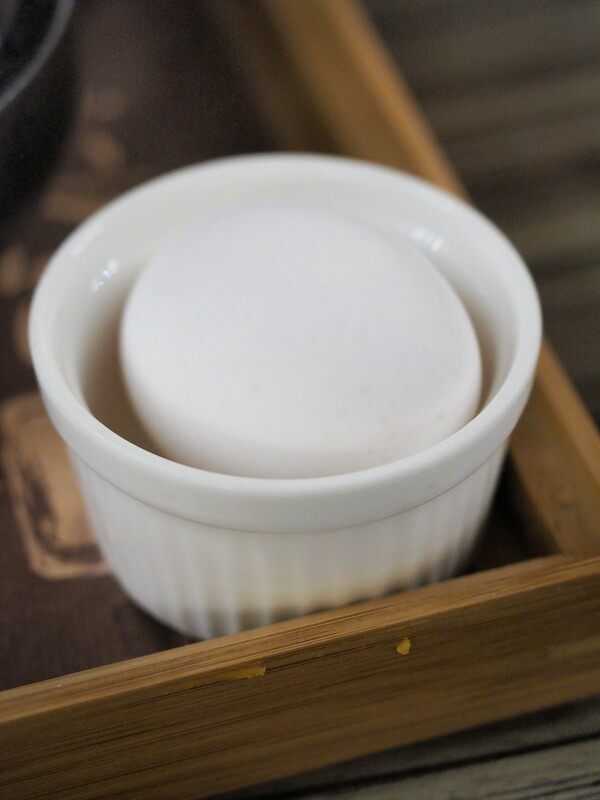 The fresh homemade fish paste that comes with laupoh’s steamboat set at EZ.KON Restaurant. Just like steamboat in Malaysia, the steamboat here also provide chicken egg. I think this is kampung egg by looking at the size and colour. 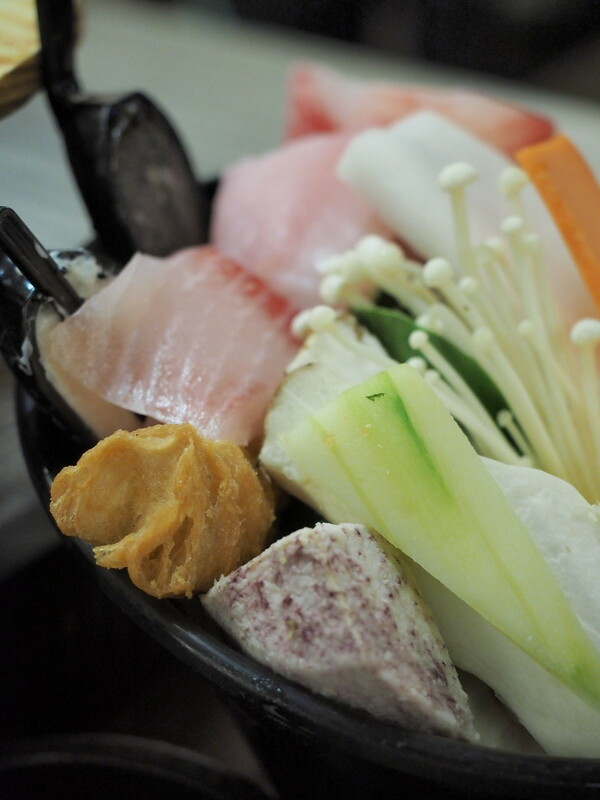 This yummy bowl of side dish comes with the steamboat set. I think it is yam with some toppings. 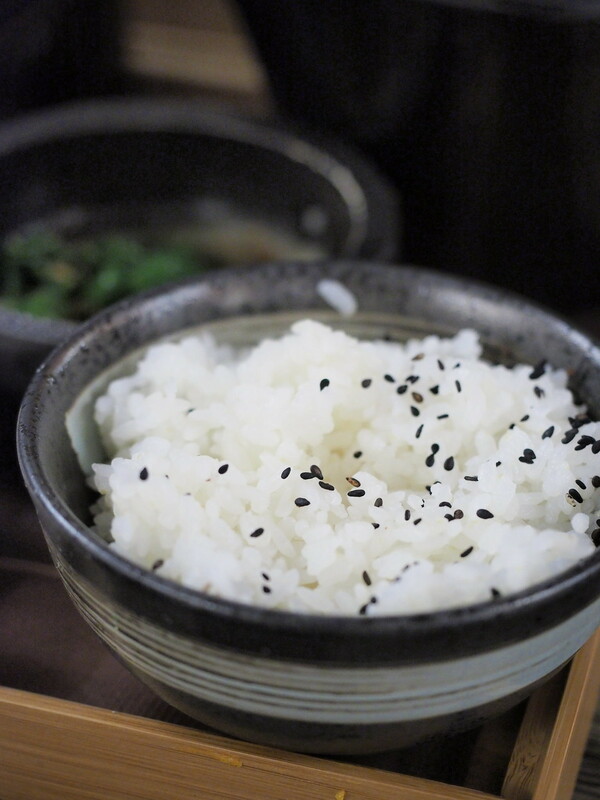 The fragrant bowl of white rice to eat with the hot pot at EZ.KON Restaurant. 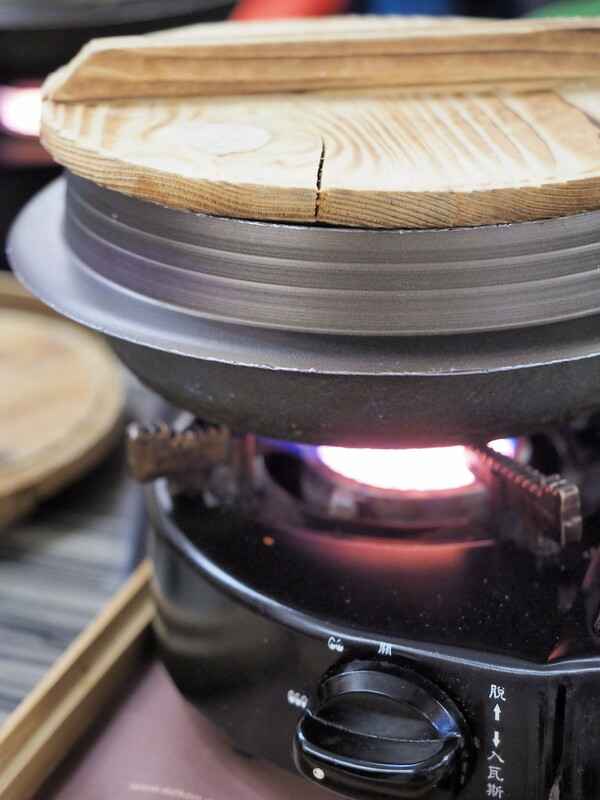 The pot for the steamboat, with the personal gas stove. The main dishes of this restaurant. There are Chinese famous cuisine such as Sweet and Sour Pork and Stewed Beef with Red Wine. 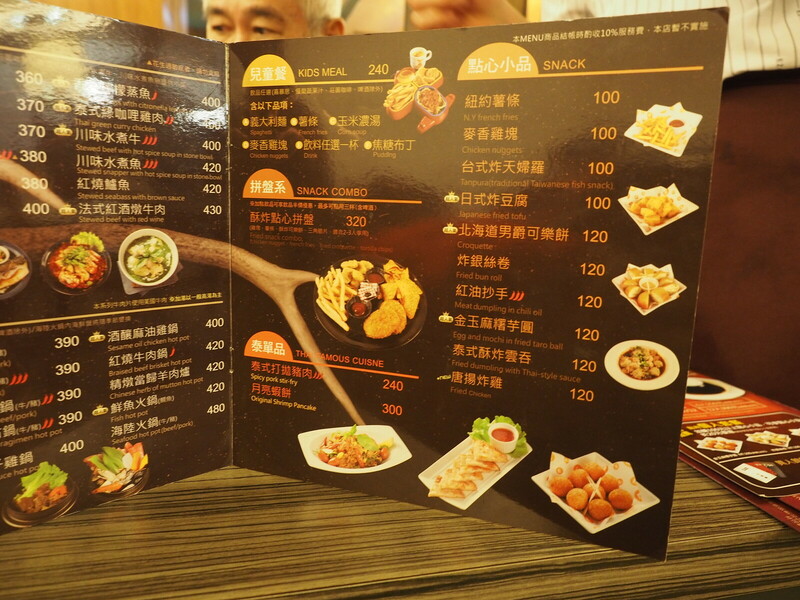 We ordered hot pot from this page of menu as well. 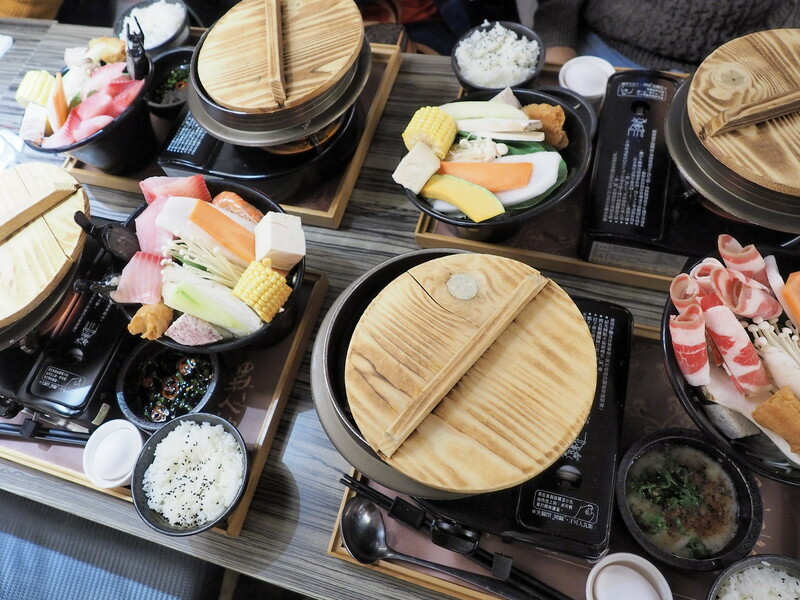 There are many choices of hot pot such as Seafood Hot Pot, Kimchi Hot Pot and Cheese Hot Pot. Click here to view a larger photo of this menu page. 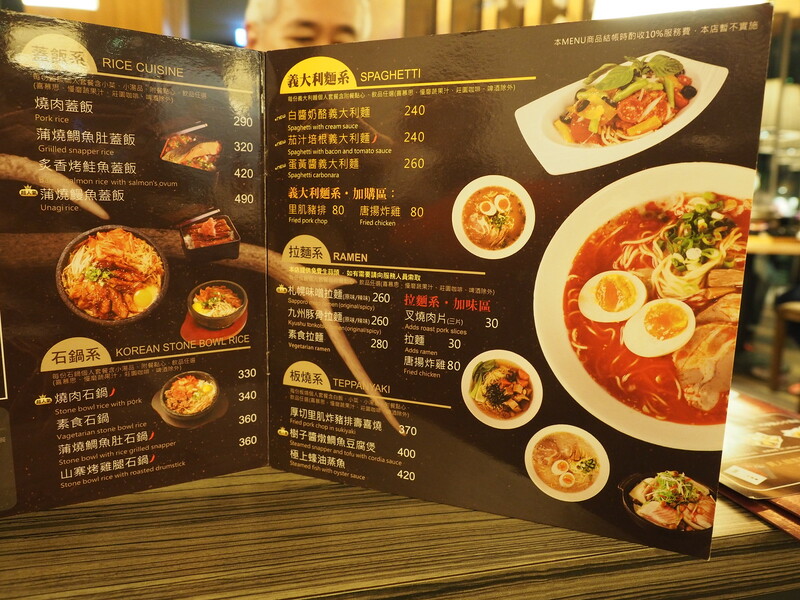 Besides the Chinese dishes and hot pot, rice and noodle are also available here. 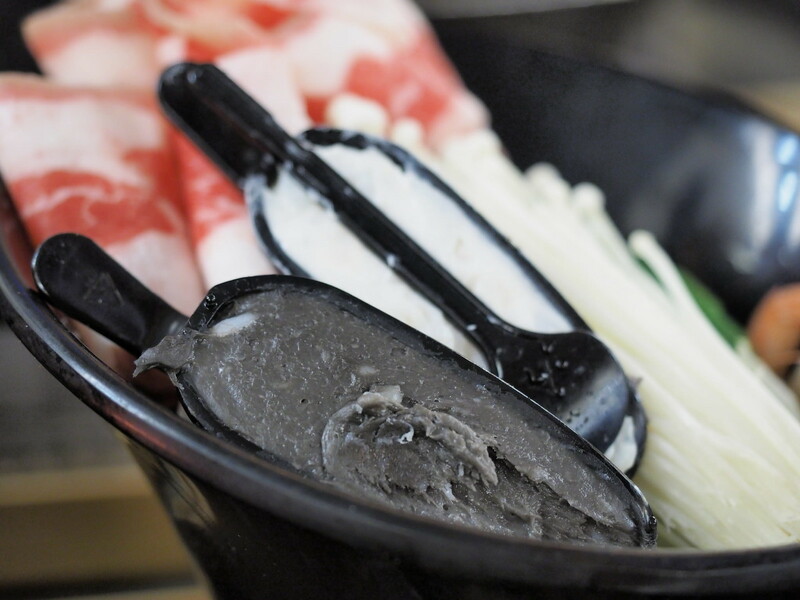 There are many varieties such as Ramen, stone bowl rice and spaghetti. Really got so many types of food to choose from in a restaurant. If you are a kid or just want to diet, Kids’ Meal is also available here. On the right side of this page are the snacks such as French Fries and Chicken Nuggets. Click here to view a bigger photo of the menu. 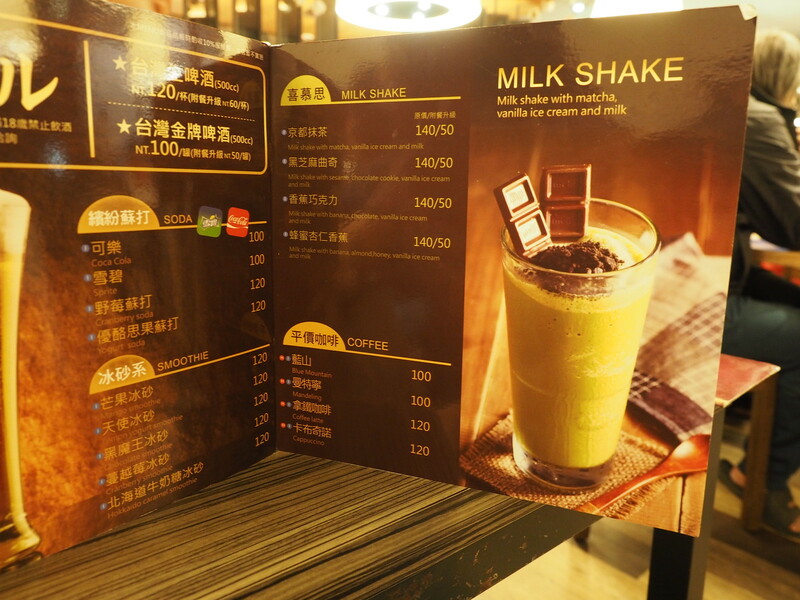 For drinks, there are many choices too such as milk shake, soda, smoothie and coffee. 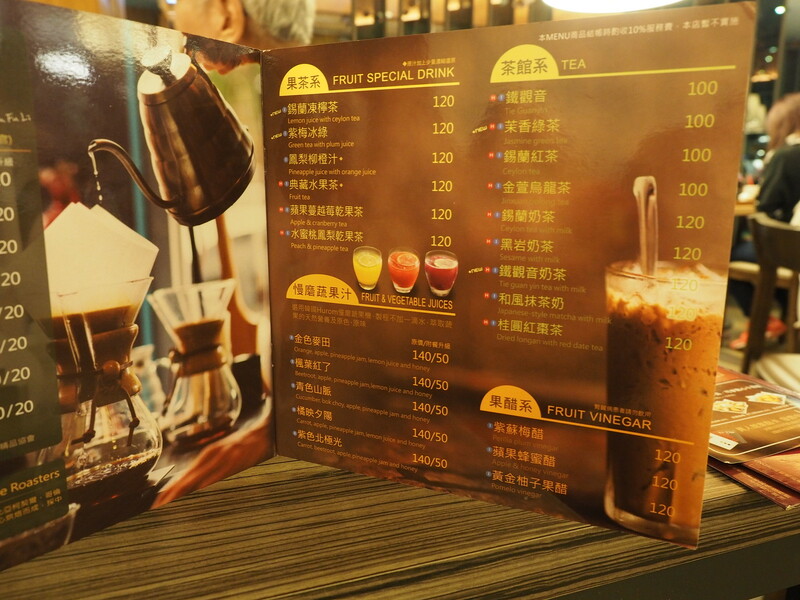 Click here to view the menu of those drinks. Fruit and vegetable juices are also available here at EZ.KON Restaurant. 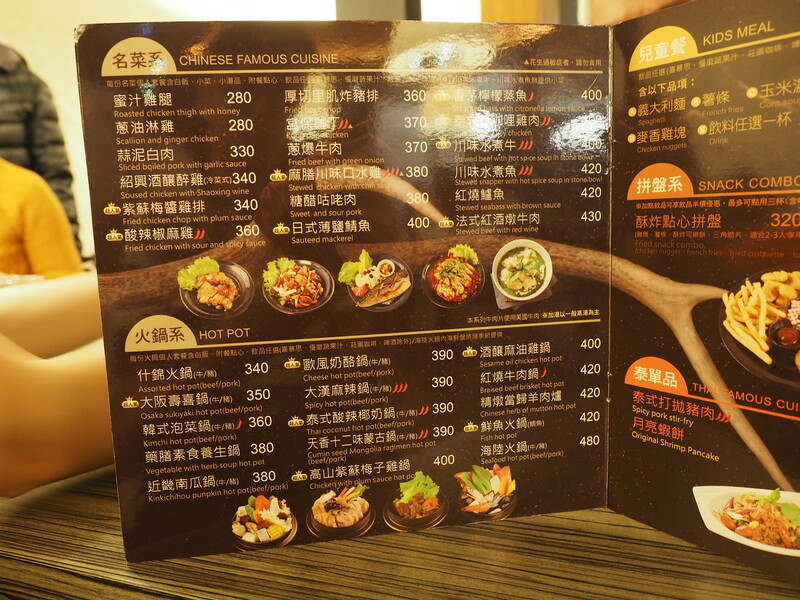 Click here to view the larger photo of the menu. 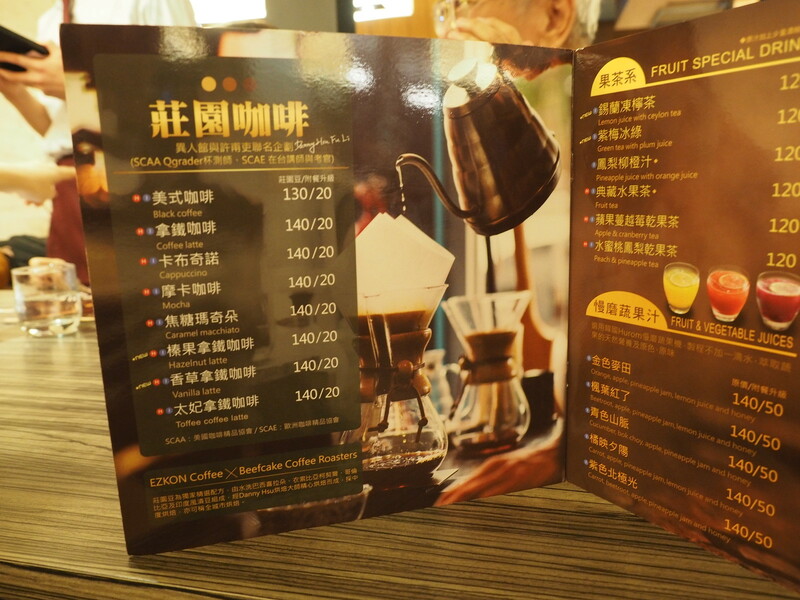 EZ.KON Restaurant also serves premium coffee. Click here to view the menu. 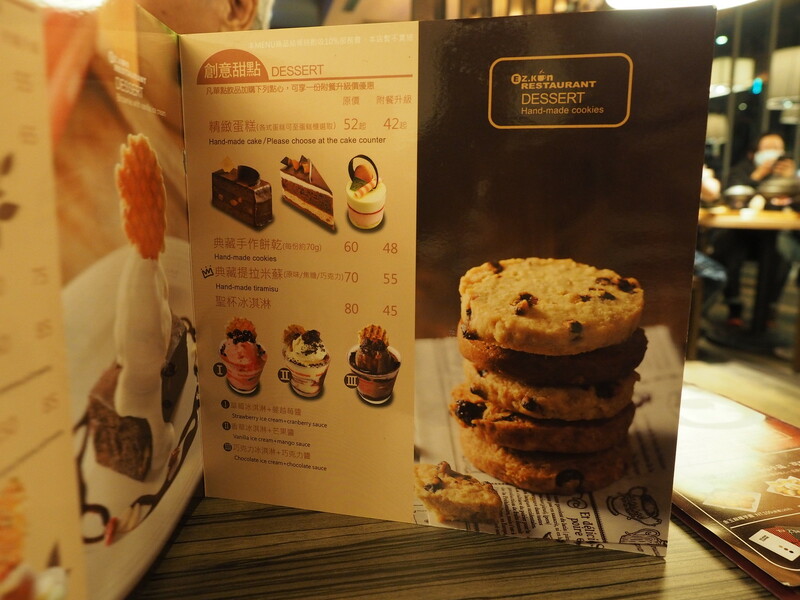 After main meals, why not eat some desserts or cookies. Click here to view the dessert menu. 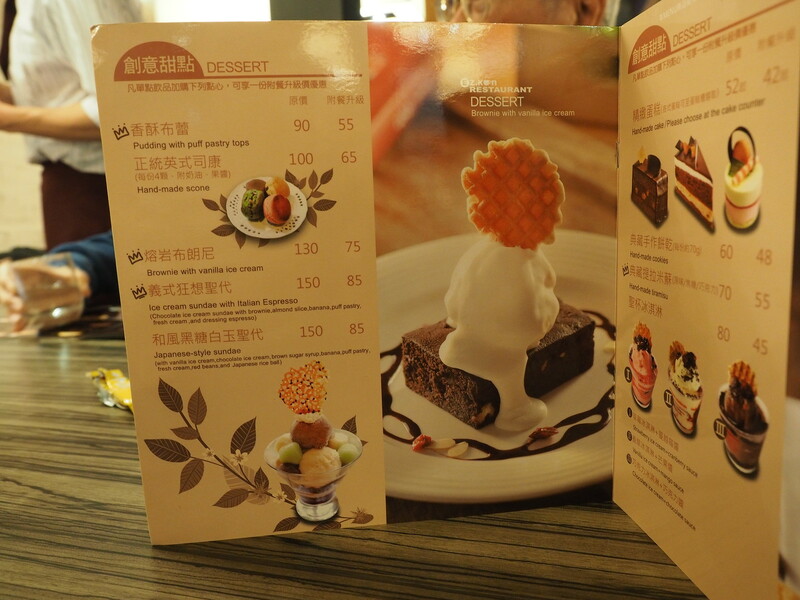 More desserts such as pudding, ice cream and brownies at EZ.KON Restaurant. Click here to view this page of menu. 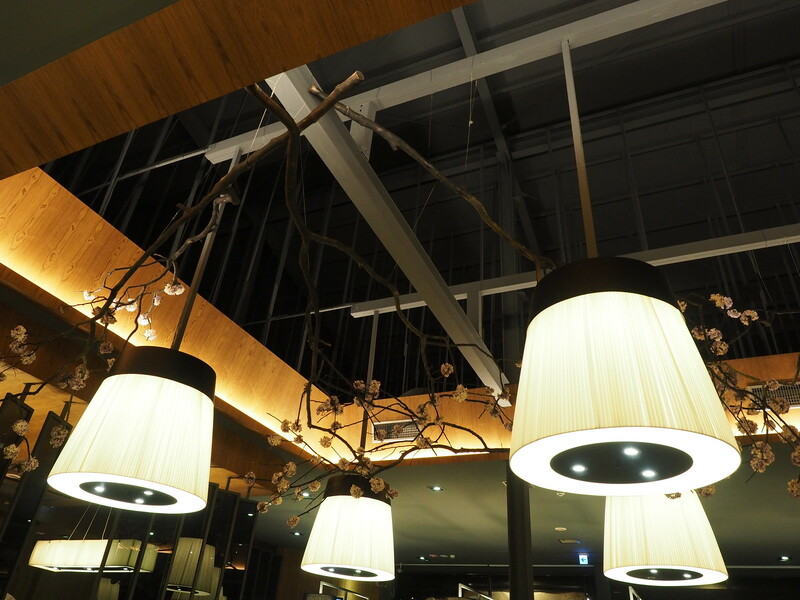 Took a photo of the nice ceiling of EZ.KON Restaurant during the dinner. We are all quite satisfied with our hot pot dinner here. The service is very nice as well. Definitely recommended if you are looking for a nice dinner place here in Taichung, Taiwan. Loved Steamboat? Click here to view all my steamboat posts. Click here to view all my Taiwan Trip blog posts. Click here to view all my travel blog posts.